This page acts as a news site of more notable reports and may contain errors and omissions. 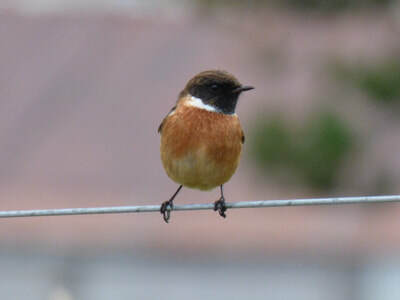 The official record is published as the annual Highland Bird Report (HBR) which details records which have been formally submitted and accepted. 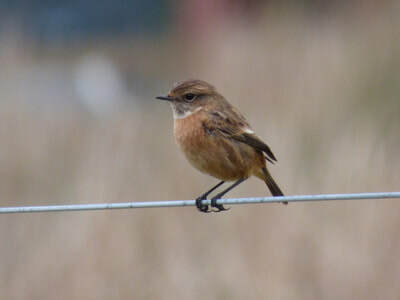 All records submitted via Birdtrack or directly to the Local Recorder, even if not mentioned on this page, do go into compilation of the HBR. Photographs are copyright of the named photographer and may not be used without explicit permission of the named photographer. Photographs of schedule 1 species will not be displayed on this page during the breeding season, unless accompanied by a valid SNH licence. 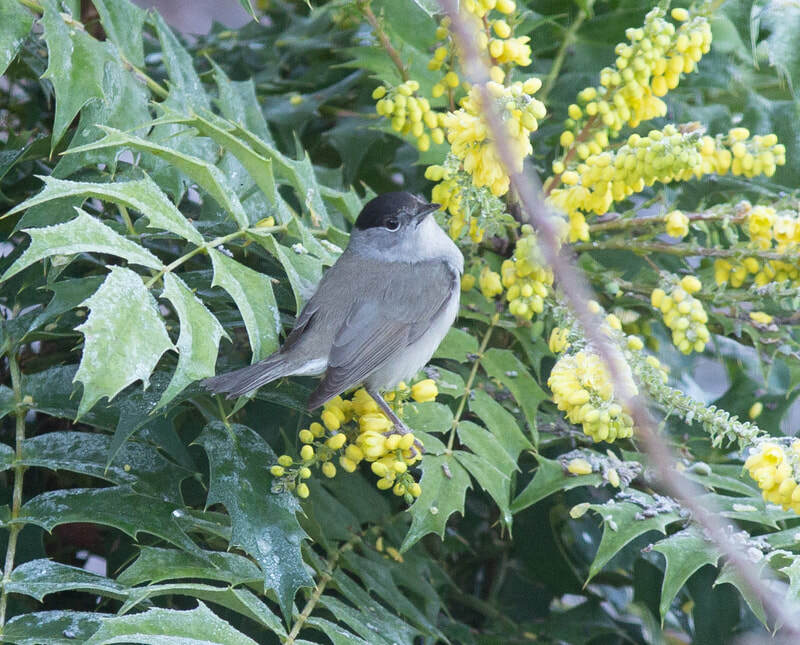 Similarly any photographs showing obviously tape-lured or distressed birds will not be displayed, please refer to the Bird photography - a new code of practice article from Scottish Birds. 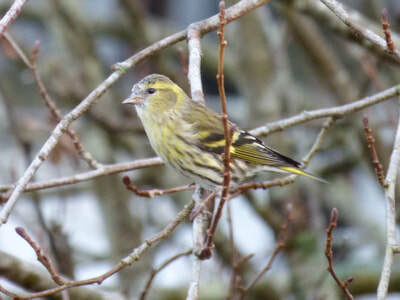 To send in your photos for the website please email highlandsocwebmaster@gmail.com. 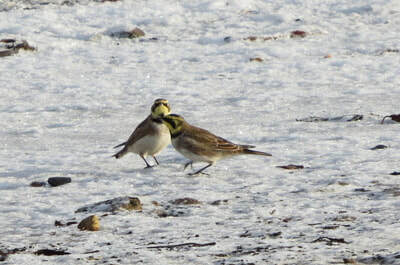 Highland Records Committee (HRC) species are in green, Scottish Birds Rarities Committee (SBRC) species are in blue and British Bird Rarities Committee (BBRC) species are in red. Inverness-shire: Drake American Wigeon still at Clachnaharry sea lock today at 1043am (RBA). 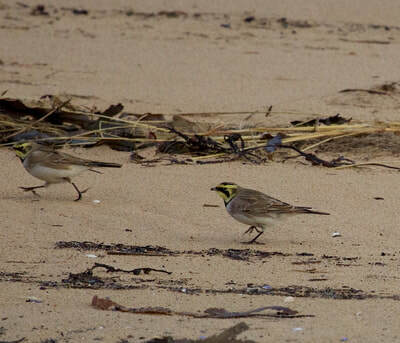 Sutherland: Two Shore Larks still at Loch Fleet in inlet on the southern side of the narrows, see below for exact location (Dean MacAskill). 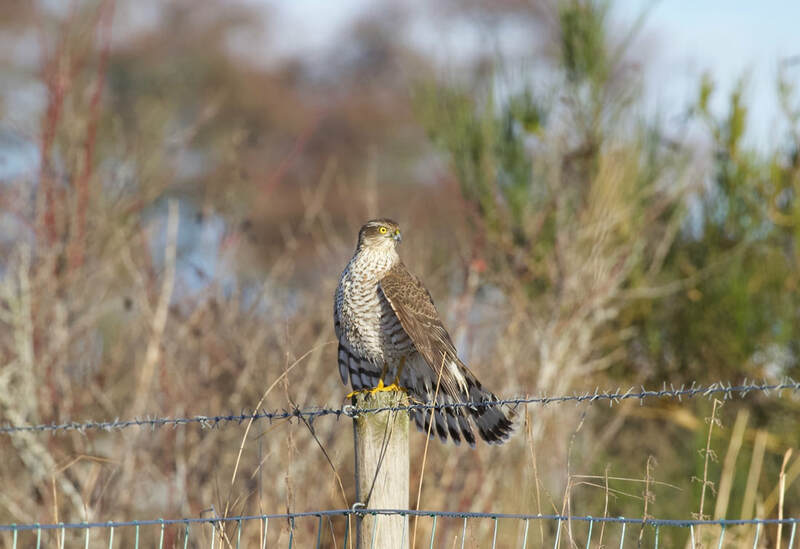 Easter Ross: Waxwing at Kildary (Jonathan Jones). 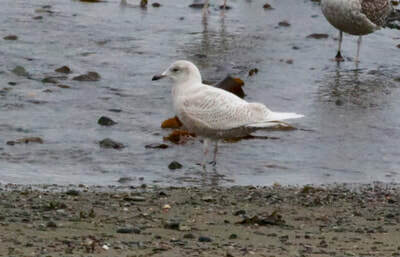 Skye and Lochalsh: Two first-winter Iceland Gulls at Achnacloich, Sleat (Bob McMillan). 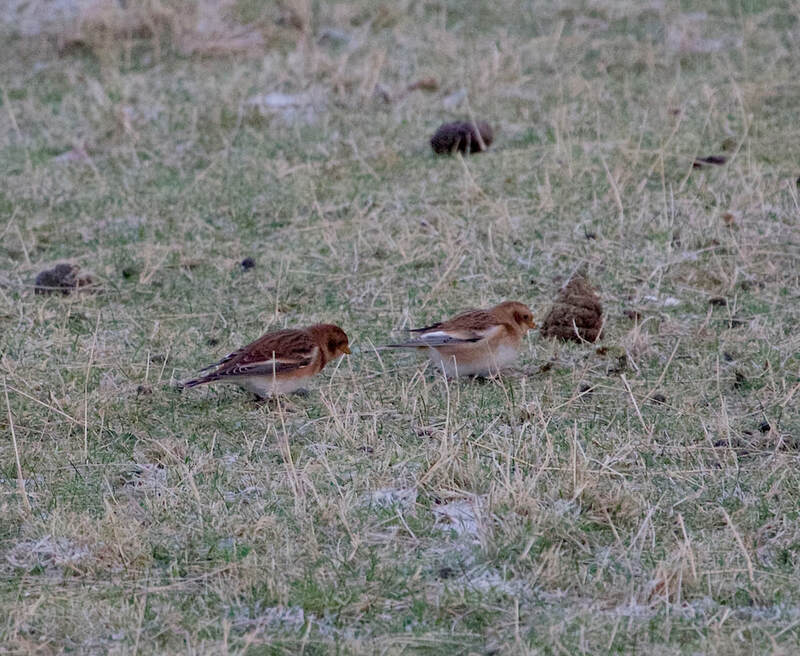 Badenoch and Strathspey: 51 Snow Buntings in Cairngorm top car park (Peter Stronach). 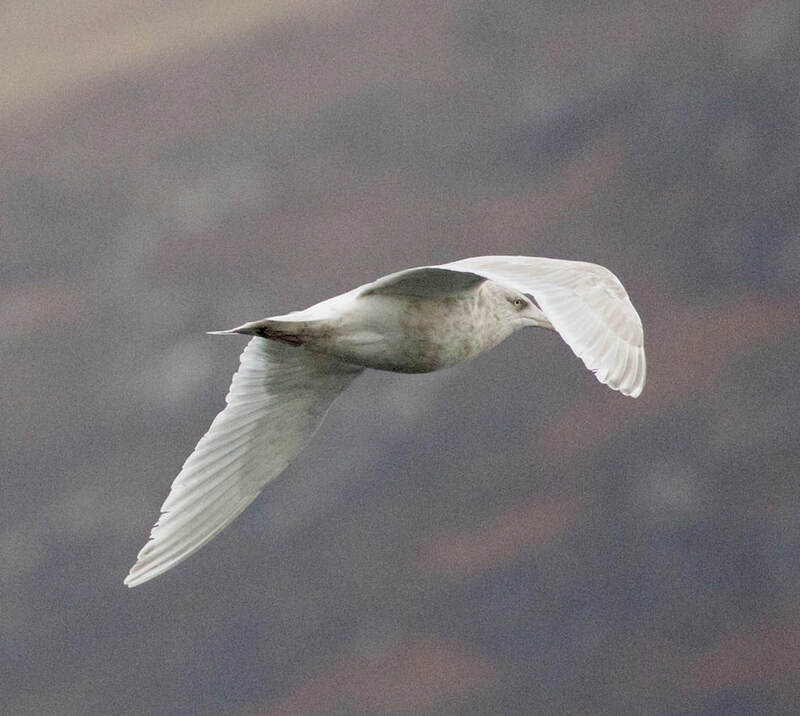 Iceland Gull at Achnacloich (Bob McMillan). Lochaber: Drake American Wigeon still at Caol at 1350pm, Fort William at the River Lochy mouth at NN105749 (Mike McKee). Wester Ross: Two Snow Buntings at Ardmair today (Andy Williams). Sutherland: Iceland Gull on the harbour wall at Helmsdale at 1510pm (RBA). Lochaber: Drake American Wigeon at Caol, Fort William at the River Lochy mouth at NN105749 (Mike McKee). 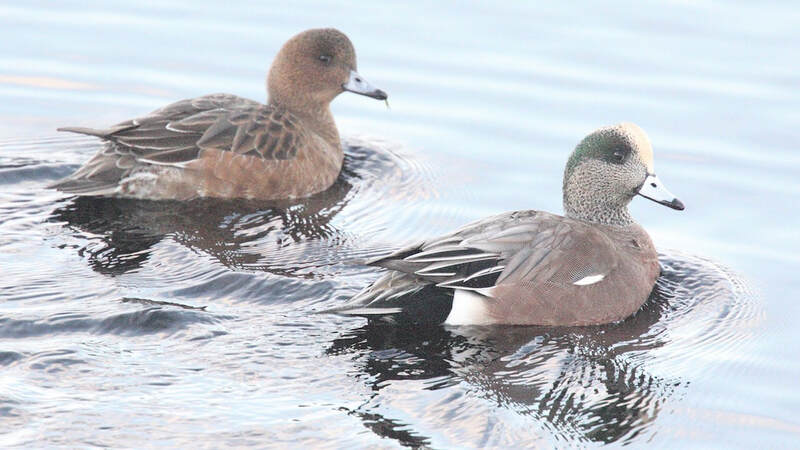 Inverness-shire: Drake American Wigeon still on Muirtown Basin, Inverness today (Alistair Mathieson). Inverness-shire: Kingfisher today on slalom stream just short of Whinpark boating pool in Inverness (Mary Galloway). American Wigeon was back with a smaller group of Eurasian Wigeon on the Muirtown Basin (Al McNee). Skye and Lochalsh: Iceland Gull at Uig Bay again today (Seth Gibson). Wholly unconfirmed report of a Rough-legged Buzzard at Waternish, Skye over the festive period (Naveed Richard Bhatti - Facebook post), reported at Claigan at the coral beaches and then flew to Lampay. 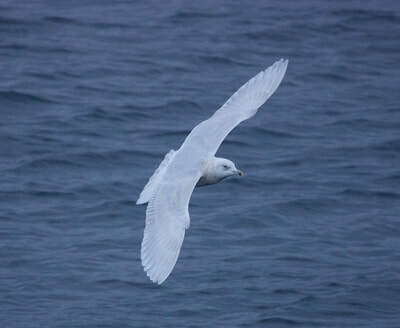 Easter Ross: First-winter Iceland Gull flew southwest past Tarbat Ness into the Dornoch Firth at 0820am (Dave Tanner). Sutherland: The Shore Larks were still at Loch Fleet again up the small creek at NH813951 at 11:50am (David and Judith Edge). 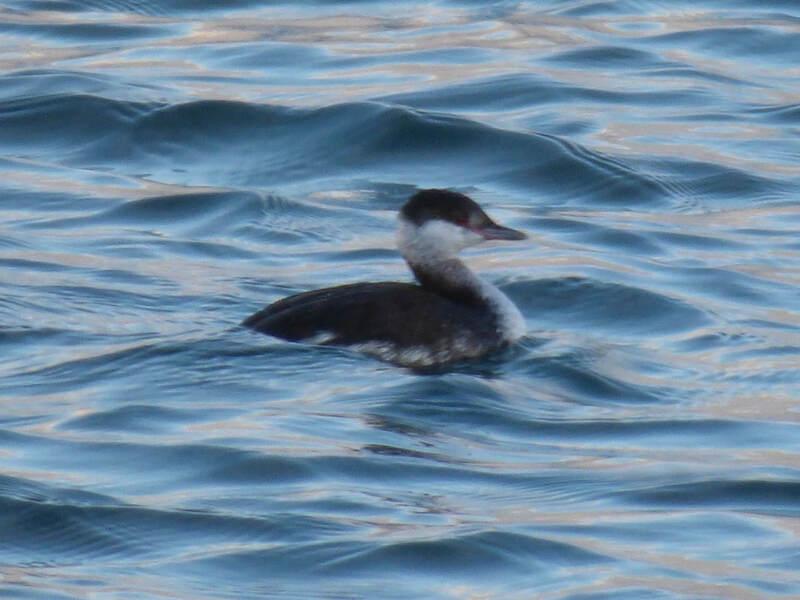 Wester Ross: Single Slavonian Grebe at Ardmair plus the 4 Great Northern Divers still (Andy Williams). 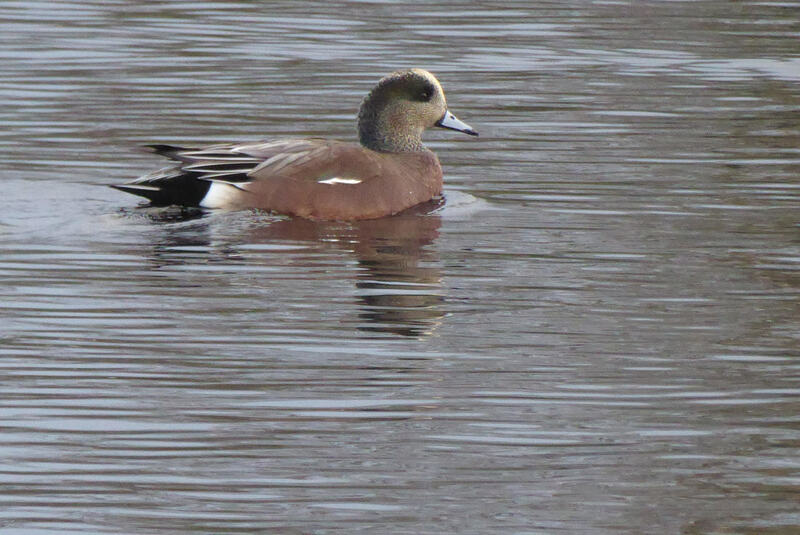 Easter Ross: Drake American Wigeon at Tain Links today, also 11 Shoveler and 115 Pintail (Bob Swann). Wester Ross: 4 Great Northern Divers at Ardmair (Tessa Rhodes/Andy Williams). 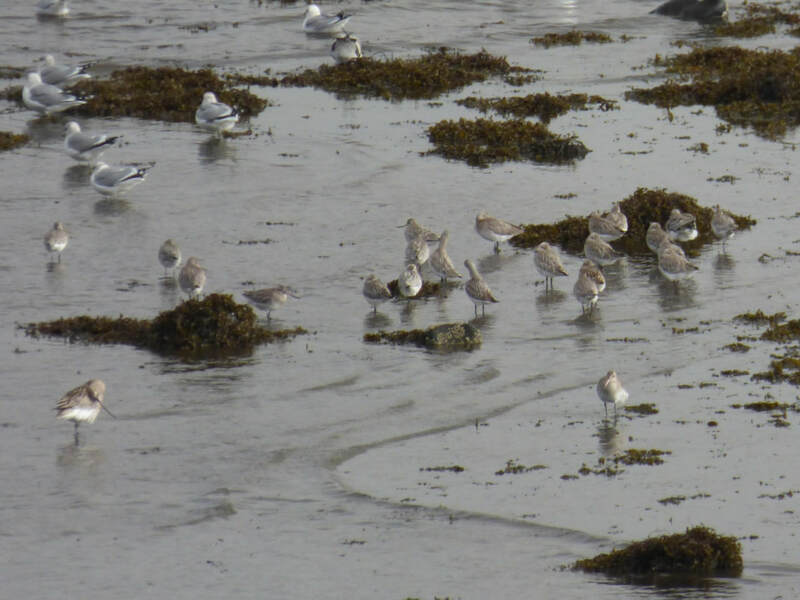 Sutherland: 14 Purple Sandpipers on rocks just north of Embo Pier at 1 pm (Di Alexander​). 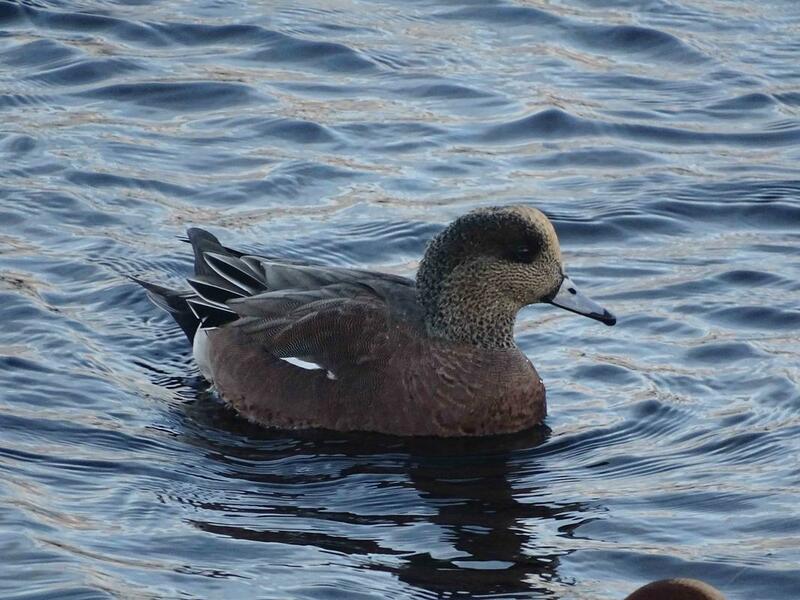 Inverness-shire: Drake American Wigeon at Clachnaharry sea lock still at midday (Rob Hughes). 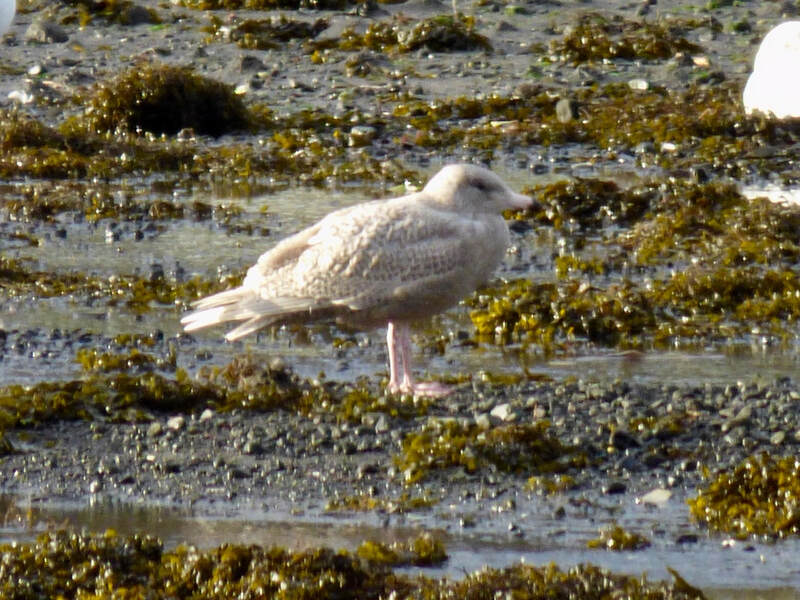 Skye and Lochalsh: Juvenile Iceland Gull at Uig Bay again today and 26 Great Northern Dovers off Lusa, Broadford (Bob McMillan). 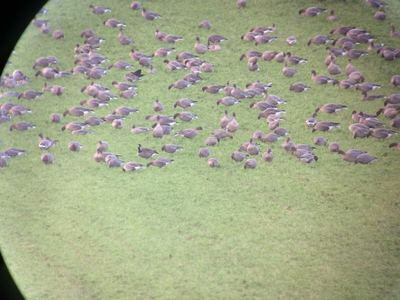 Easter Ross: 31 Barnacle Geese with grey geese flock at Wilkhaven Farm, Tarbat Ness (Dave Tanner). Inverness-shire: Spotted Redshank again on the flood off Dalziel Road, Castle Stuart at 1615pm (Jon Clarke), also earlier the Todd's Canada Goose with flock of pinkfeet off Dalziel Road (Dave Pierce). 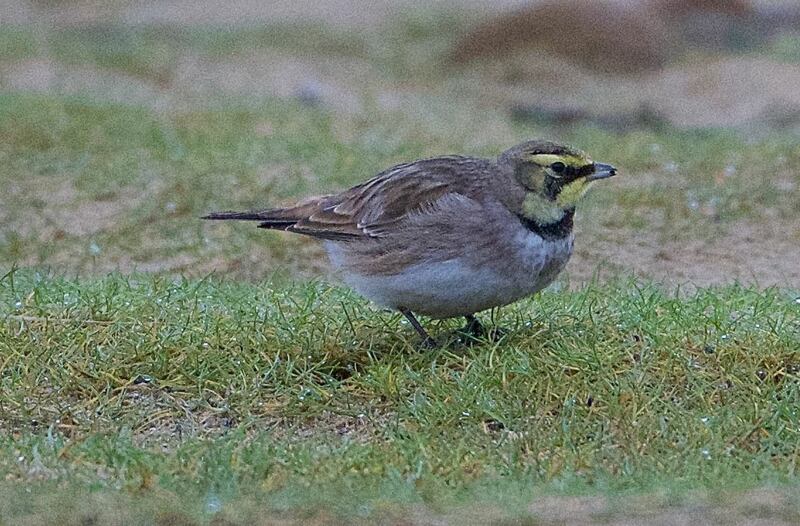 ​Sutherland: 2 Shore Larks still at Loch Fleet, at NH814949, at midday, note new location (David and Judith Edge). 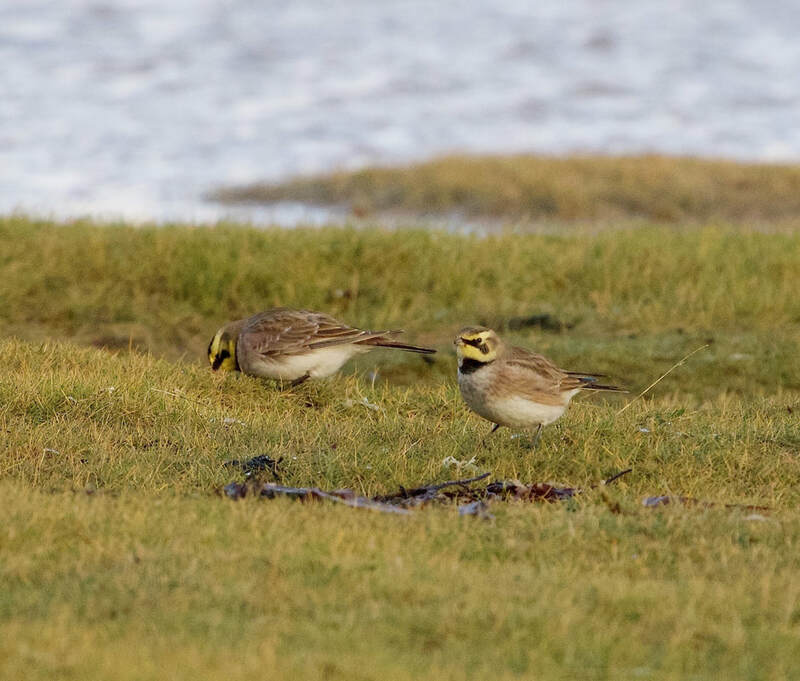 Shore Larks at Loch Fleet (David Edge). 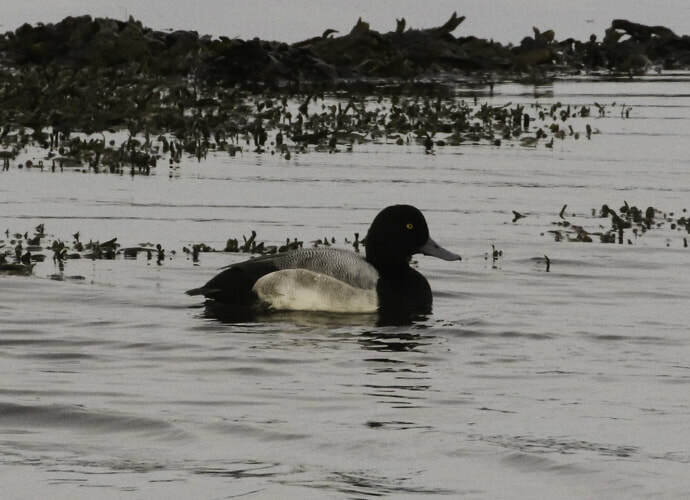 Inverness-shire: 30 Scaup at Alturlie yesterday (Robin Paton). 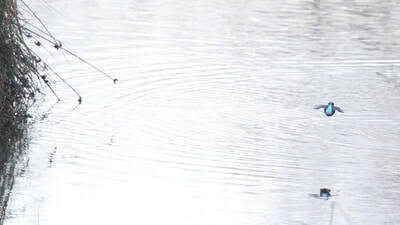 No sign of the Green-winged Teal on Loch Flemington today or the Spotted Redshank on the flood off Dalziel Road, Castle Stuart (Jon Clarke/Pete Gordon). 16 Barnacle Geese flew south over Whiteness today (Pete Gordon). 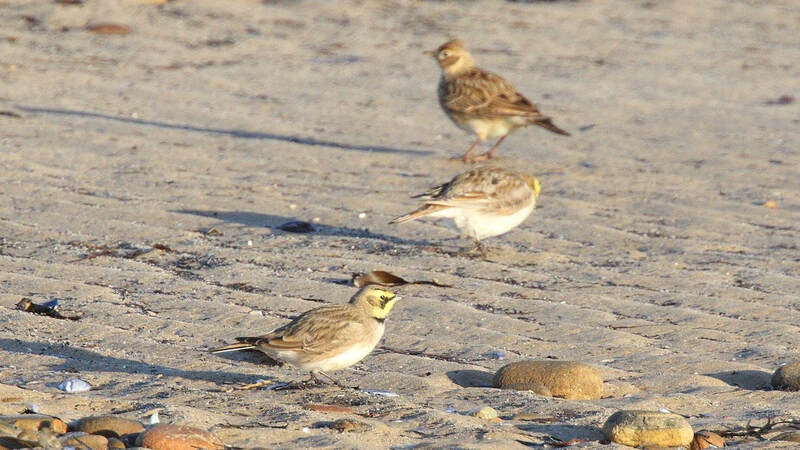 Sutherland: 2 Shore Larks still feeding at NH810952 on the saltmarsh inlet at Loch Fleet this morning, in the company of 7 Rock Pipit and a Greenshank (Alan MacAskill and Bob Swann). Inverness-shire: Drake Green-winged Teal on the shore at Alturlie bay with a large flock of Teal this morning at 0946am. Kingfisher at Muirtown Basin this morning (All Bob McMillan). 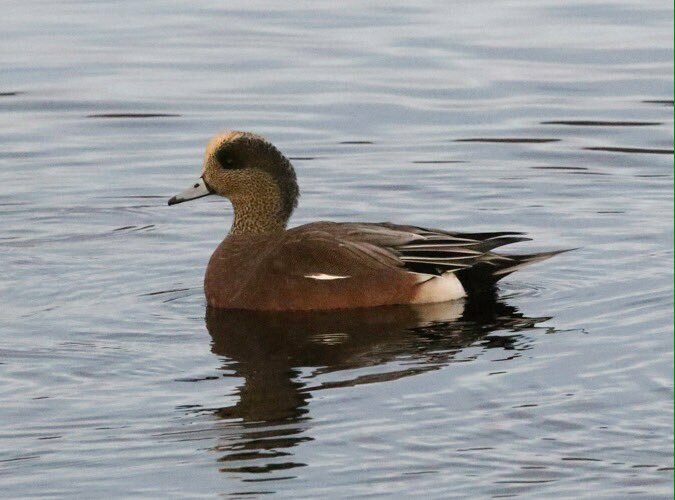 Drake Green-winged Teal again at Loch Flemington at 1426pm, also drake Gadwall still. Spotted Redshank again at the flood at Easter Dalziel, Castle Stuart, on flood at NH761507, also 3 Barnacle geese, and a European White-fronted Goose in with the pinks along Dalziel Road, no sing of Todd's Canada Goose (Jon Clarke). 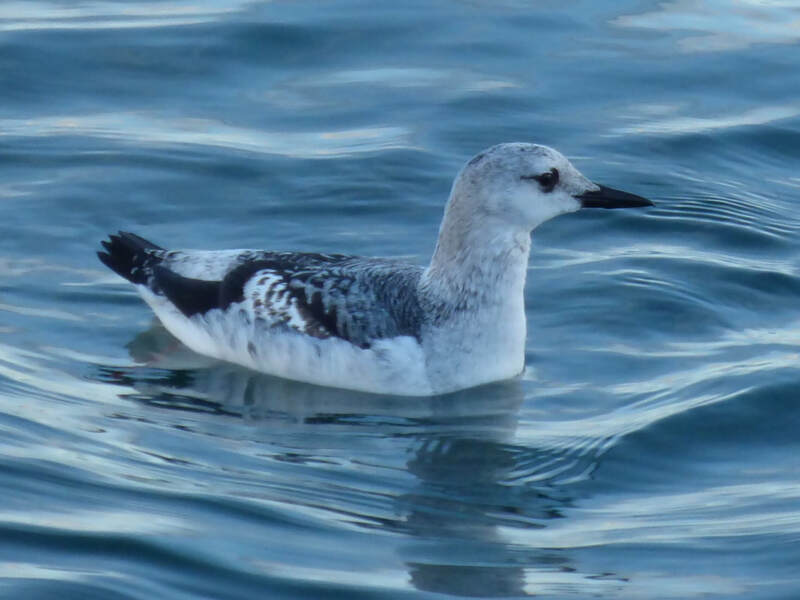 Wester Ross: Viking Gull again in the harbour at Ullapool (Andy Williams). 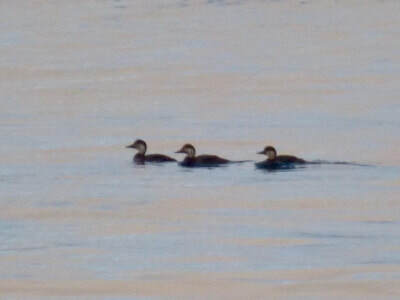 At Ardmair; 1 Slavonian Grebe, 3 Great Northern Diver and 1 Red-throated Diver. 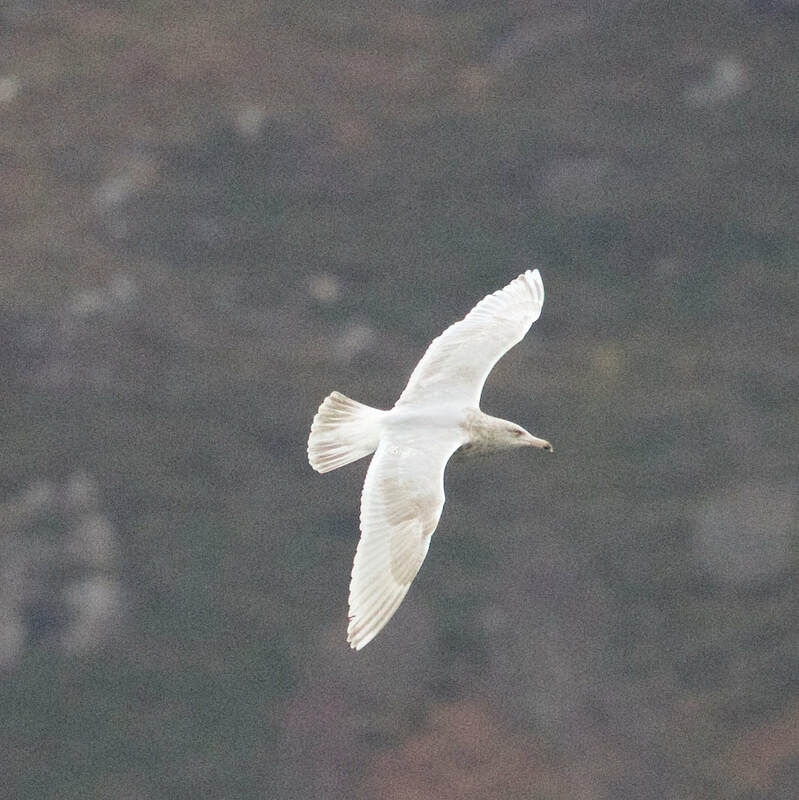 Skye and Lochalsh: First-winter Iceland Gull at the head of Loch Slapin (James Gordon). Green-winged Teal at Alturlie (Bob McMillan). 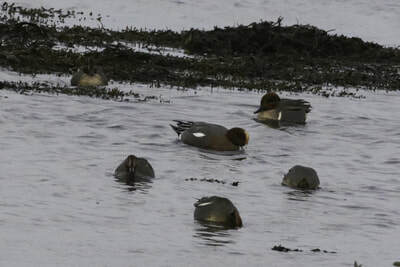 Green-winged Teal at Alturlie (Bob McMillan)..
Viking Gull in Ullapool (Andy Williams). 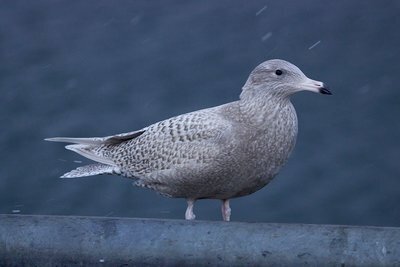 Viking Gull in Ullapool (Andy Williams)..
Sutherland: Two Shore Larks still at Loch Fleet, on the south side of the narrows where the pylons cross the inlet (Bob McMillan, Tessa Rhodes and Andy Williams). 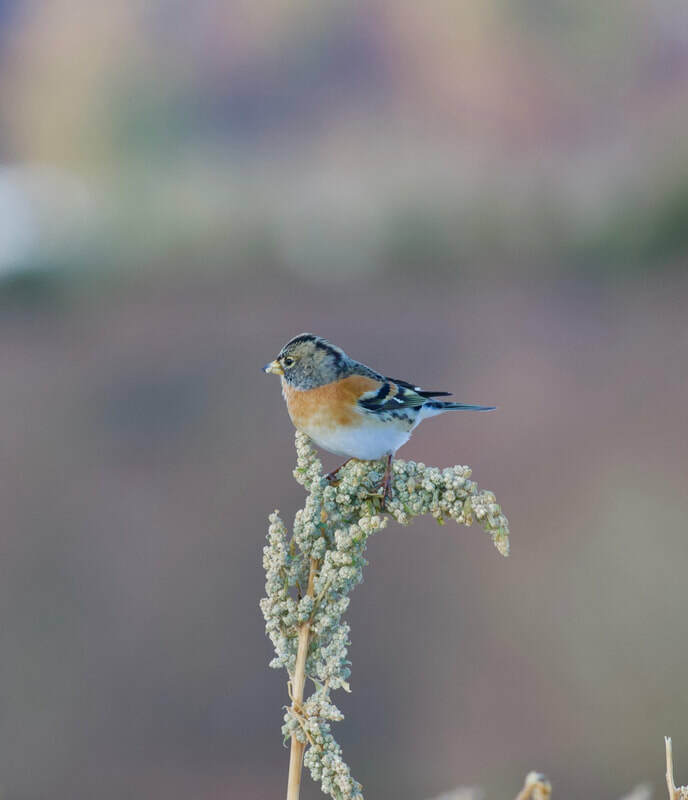 No sign of the reported Northern Bullfinches in Dornoch (Andy Williams). Lochaber: One Iceland Gull (possibly 3rd winter bird) at Kildonan Bay, Eigg (John Chester). 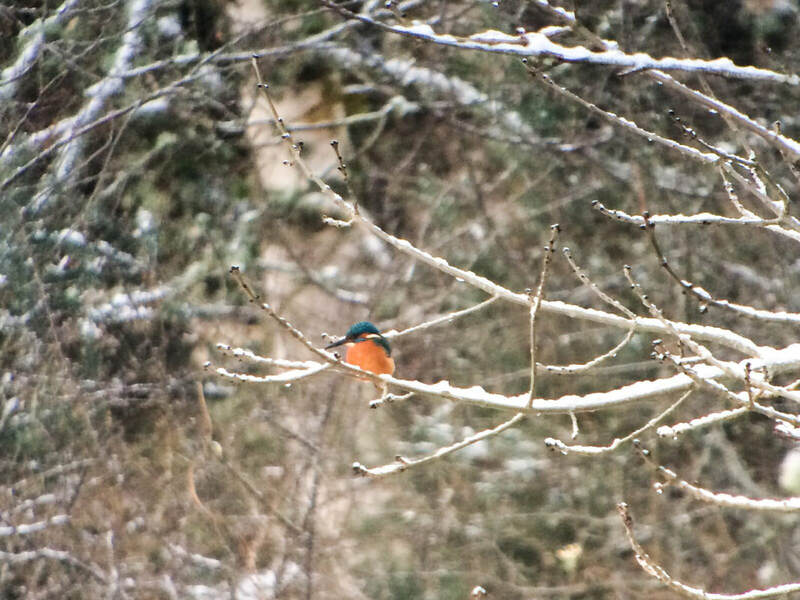 Drake Mandarin back on Morar estuary and the Kingfisher still on river (Stephen MacDonald). 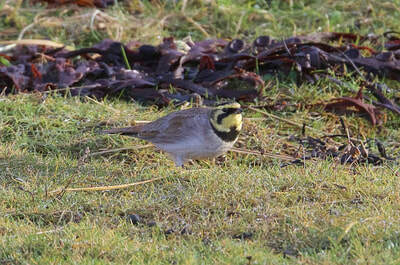 Easter Ross: 11 Barnacle Geese at Tarbat Ness at NH940867. Shore Larks at Loch Fleet (Andy Williams). Shore Larks at Loch Fleet (Andy Williams)..
Inverness-shire: Todd's Canada Goose with Pink-footed Geese, 3 Barnacles and a Pale-bellied Brent on Dalziel Road, Castle Stuart, east of the road at the south end (Lynda Graham and Jon Clarke). American Wigeon, drake still at Clachnaharry today (James Gordon). 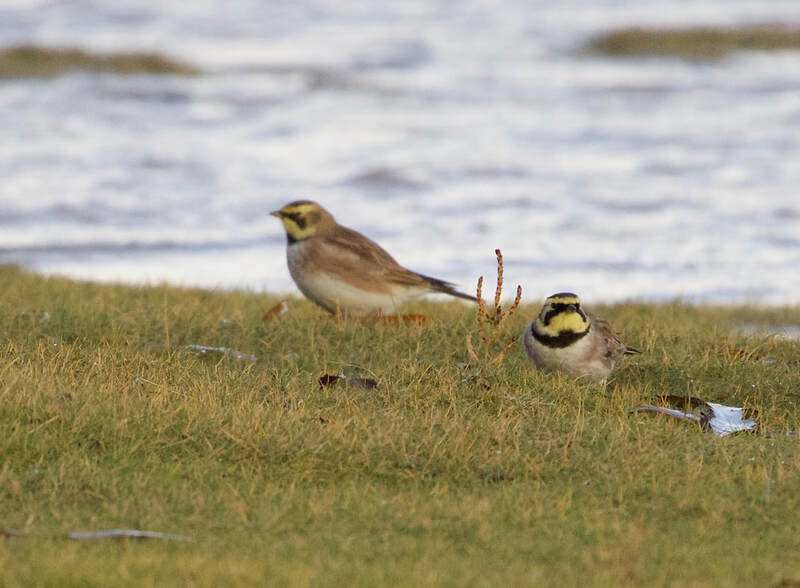 Sutherland: Two Shore Larks still at Loch Fleet, on the south side of the narrows where the pylons cross the inlet (Birdguides). Two Northern Bullfinch reported in Rowan trees in Dornoch by History Links Museum (Birdguides). 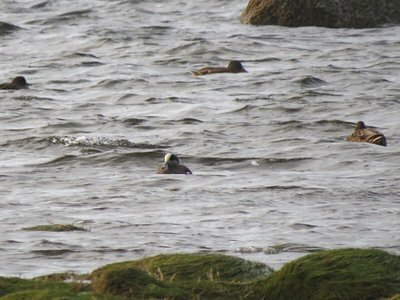 Easter Ross: Probable Balearic Shearwater and probable Pomarine Skua at Tarbat Ness (Dave Tanner). 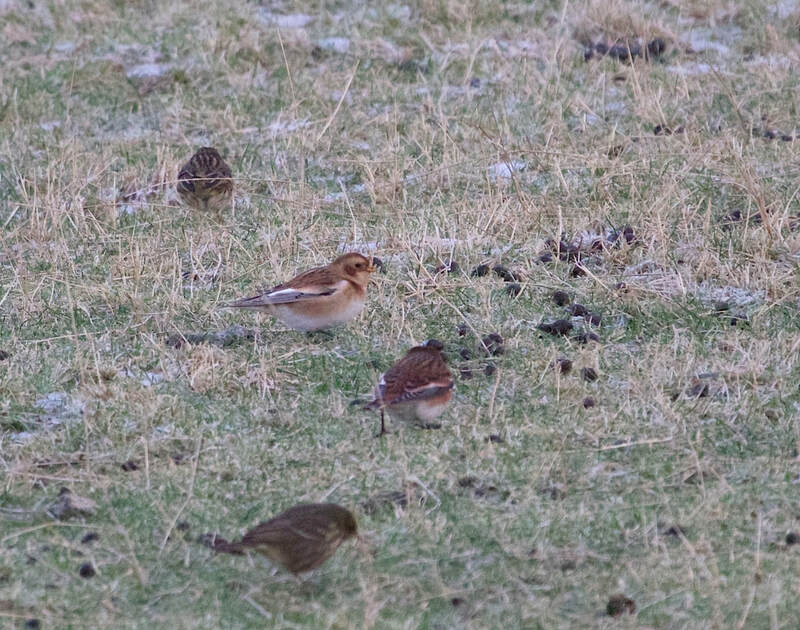 Badenoch and Strathspey: Flock of 580 Red Grouse at Geal Charn Beag (Dave Pierce). Todd's Canada Goose at Castle Stuart (Jon Clarke). Sutherland: 2 Shore Lark still at the same location as previous, at the inlet where the pylons cross the narrows of Loch Fleet (Jonathan Jones/Dave Tanner). 6 Snow Bunting in large mixed finch flock at Dornoch beach, 750 east of burn inlet (Dave Tanner). 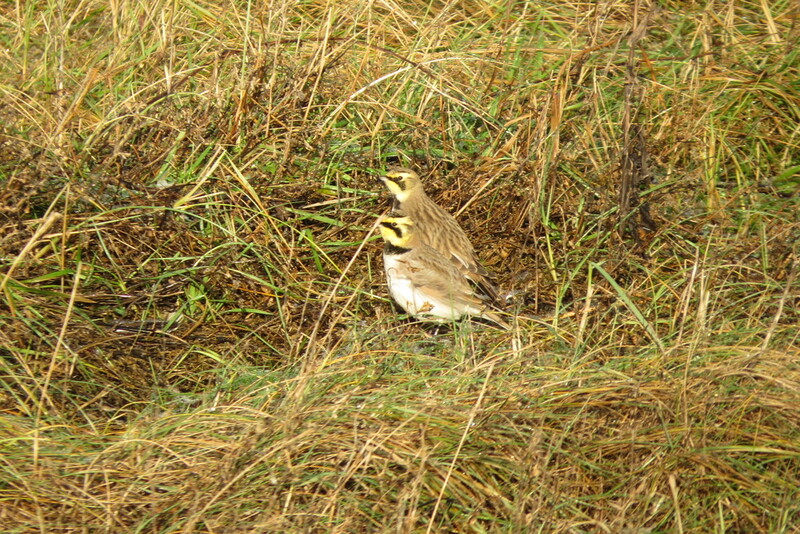 2 Jack Snipe at Dornoch Point (Dean MacAskill). Skye and Lochalsh: Juvenile Iceland Gull in Big Bay today (Seth Gibson). 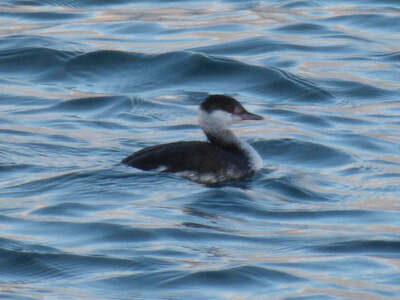 Inverness-shire: Great Crested Grebe at Alturlie (Colin Leslie). Sutherland: 2 Shore Larks still at Coul links at the same location as previous, at the inlet where the pylons cross the narrows (Dean MacAskill). 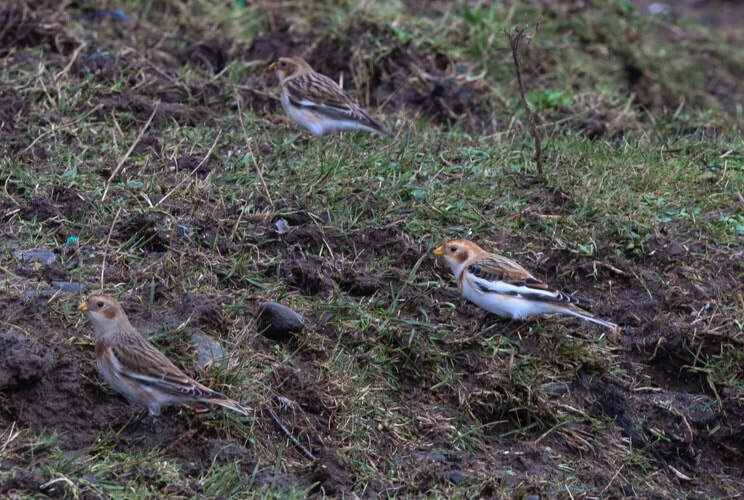 Skye and Lochalsh: 12 Snow Bunting at Ardmore, Waternish today (Bob McMillan). 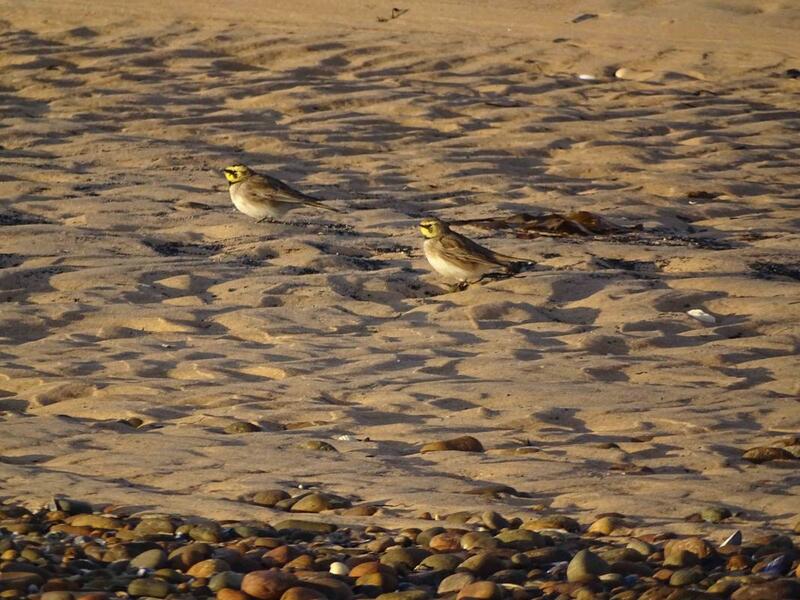 Shore Larks at Loch Fleet (Dean MacAskill). Wester Ross: Viking Gull still in Ullapool harbour today (Andy Williams). 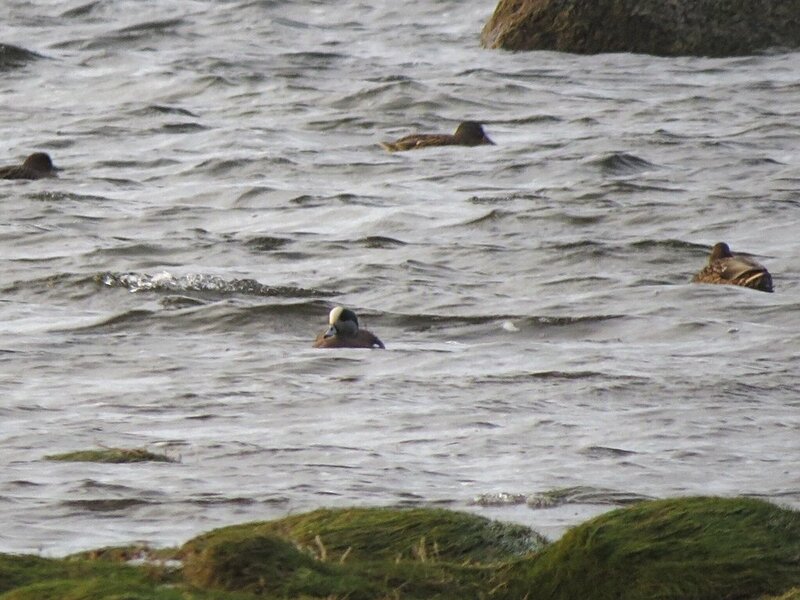 Inverness-shire: The American Wigeon drake still on the sea lock at Clachnaharry, the Kingfisher still on the right hand Muirtown Pool and a male Stonechat below the seawall to South Kessock (Al McNee). Great Grey Shrike reported recently at Bunachton, no further details on location or date. 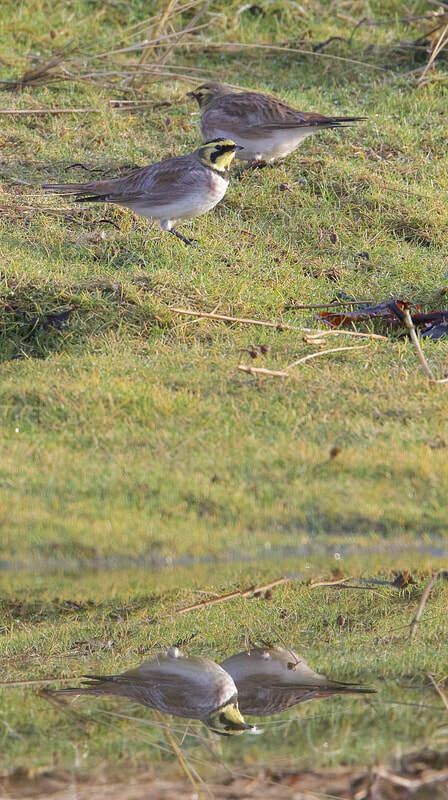 Four Black-tailed Godwit at Bunchrew in the evening (Jon Clarke). Inverness-shire: At Muirtown pools today between 3pm and 4pm, 3 Snipe, a Black-tailed Godwit, and a Water Rail feeding out on mud at low tide (Alan MacAskill). Wester Ross: First-winter Glaucous Gull at Loch Kishorn (Bob McMillan). 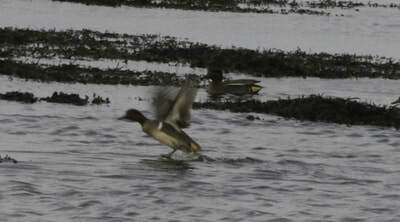 Skye and Lochalsh: Drake Pintail with Mallard at the head of Loch Carron (Bob McMillan). 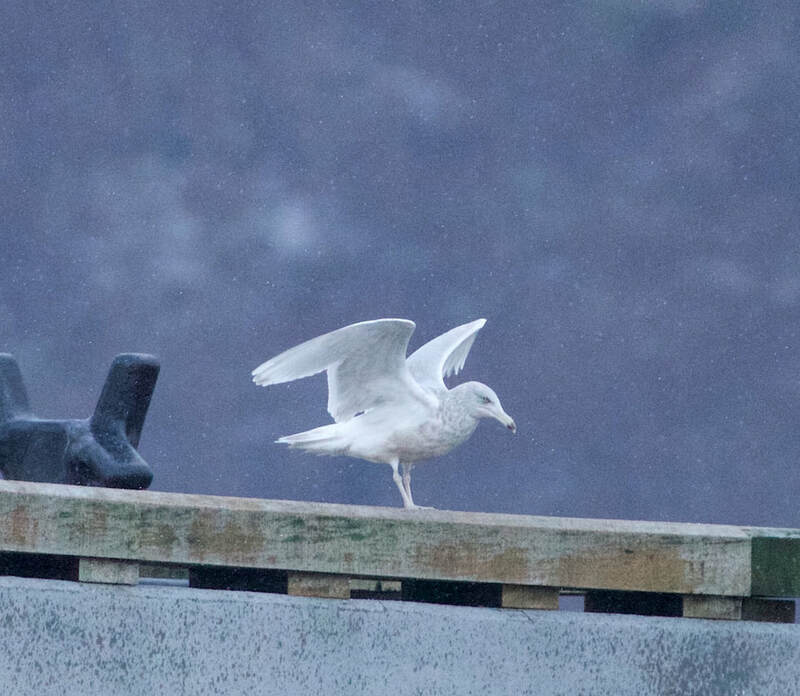 Two juvenile Iceland Gull at Heaste, Skye. 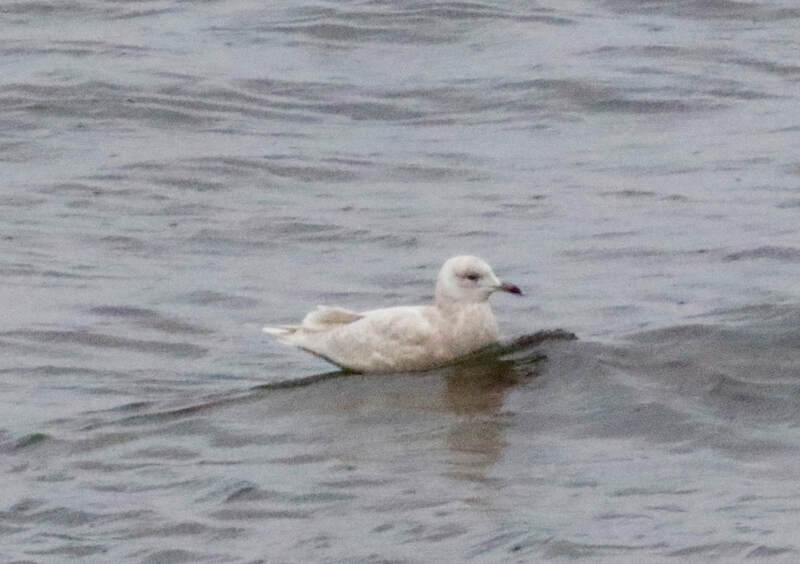 Inverness-shire: First-winter Iceland Gull this morning, standing beside the Ness at Whin Park, then flew off towards Holm Mills (Lynden Schofield). 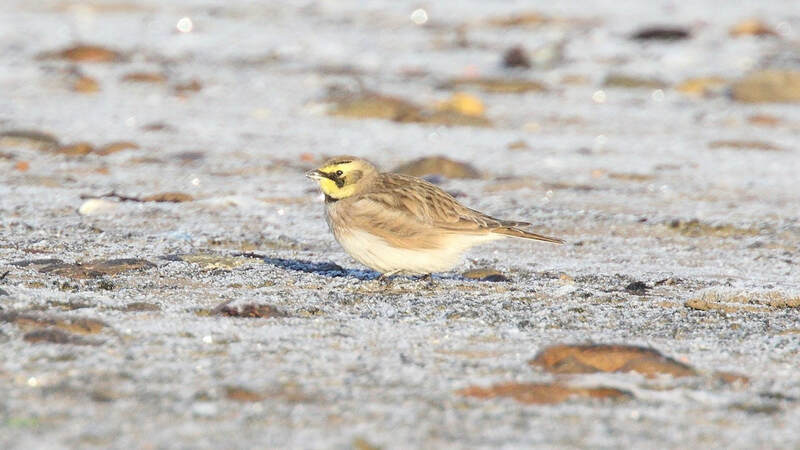 Sutherland: Now 2 Shore Larks at the entrance to Loch Fleet at NH810952 (Al McNee, Jon Clarke and Peter Stronach) (Note to bird news operators, the current directions and location you are giving are wrong!). Easter Ross: 2 Chiffchaffs at Loch Eye in the bushes at the pier on the northwest shore (Sue, Hugh and Simon too!). 3 Barnacle Geese and a Canada Goose at Udale Bay. Inverness-shire: At Clachnaharry sea loch, drake American Wigeon still, in Muirtown pools nearby, on first pool on the right from canal, a Water Rail and a Kingfisher (Jon Clarke/Peter Stronach). 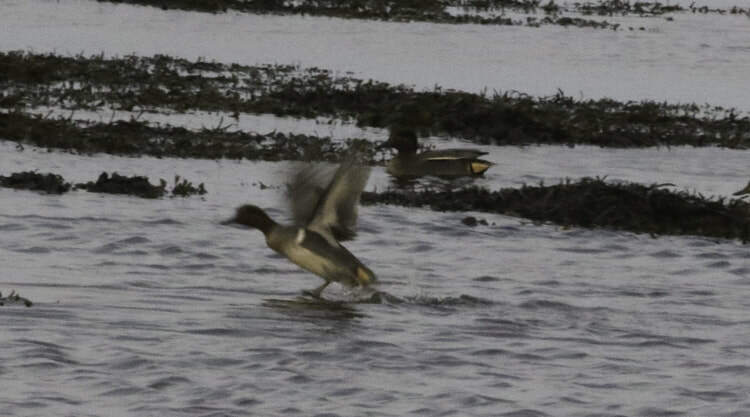 Pair of Mandarins by the bridge at Cantray bridge on the River Nairn. 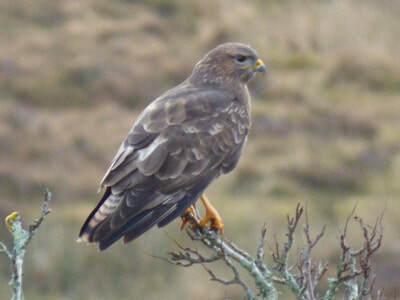 Skye and Lochalsh: Long staying single Magpie still at Ellishadder.8 Greenland White-fronted Geese counted in small flock at Kilmuir. 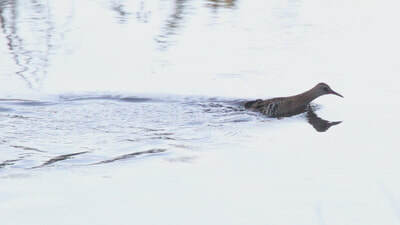 Single Water Rail near Heaste Road, Broadford (All Bob McMillan, Martin Benson and Jonathan Jones). 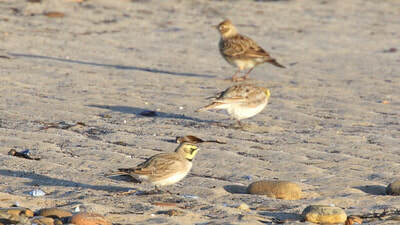 SOC Highland bird race took place today with six teams taking part, the winning team found 89 species during the day. 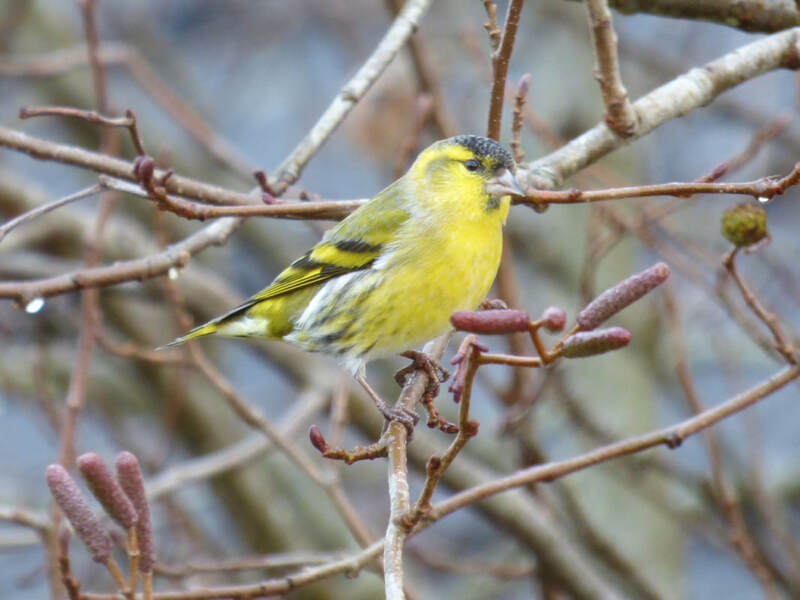 A team based solely on Skye recorded 70 species, and a team solely on foot from Ullapool recorded 50 species!. 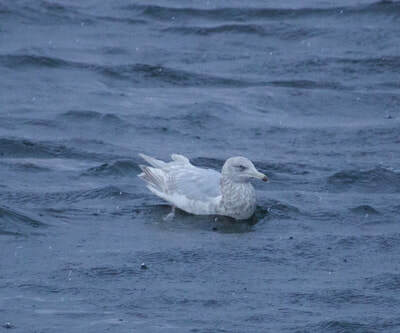 Sutherland: First-winter Glaucous Gull at the mouth of Loch Fleet at midday today. 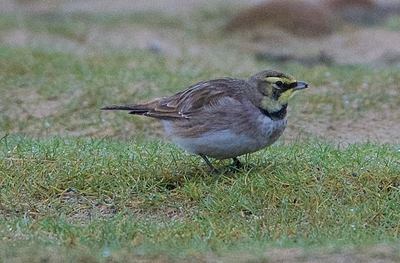 Also 1 Shore Lark with 2 Skylarks and Rock Pipit at the large "inlet" near the power lines on the Coul Links, south side (approx NH809953) (All Russell Wood). 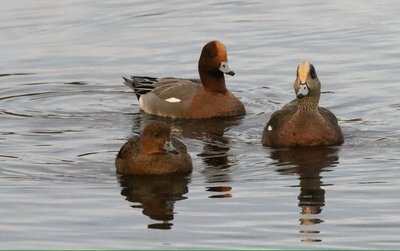 Inverness-shire: The drake American Wigeon showing well on the sea lock at Clachnaharry, with 70 Eurasian Wigeon. 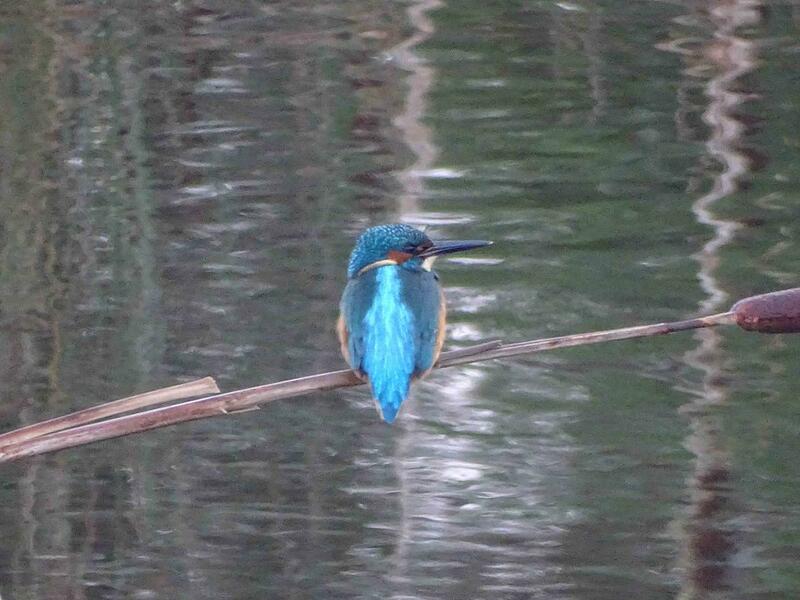 Also the Kingfisher showed well halfway up the main channel on the r/h Muirtown Pool (Al McNee). 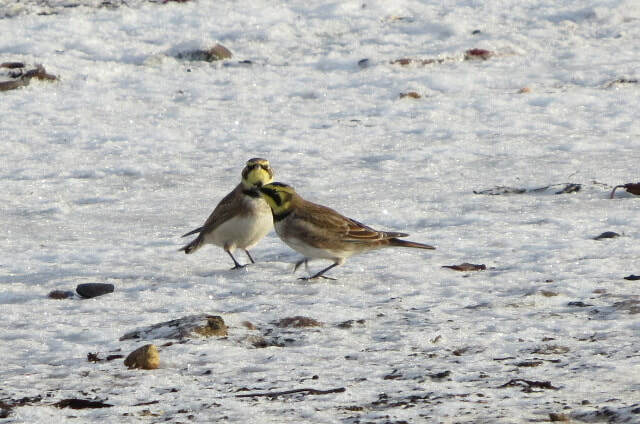 Easter Ross: Single Jack Snipe today on the foreshore at Cromarty attacked by a group of Jackdaws but managed to get away!. 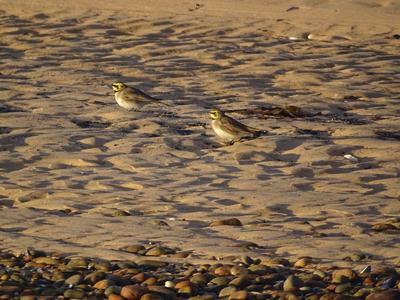 25 Rock Pipits present around Cromarty today (All Kevin Davies). 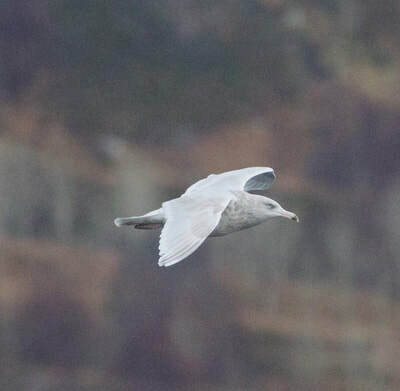 Wester Ross: Third-winter Iceland Gull, first-winter Glaucous Gull and Viking Gull still at Ullapool harbour (Andy Williams). 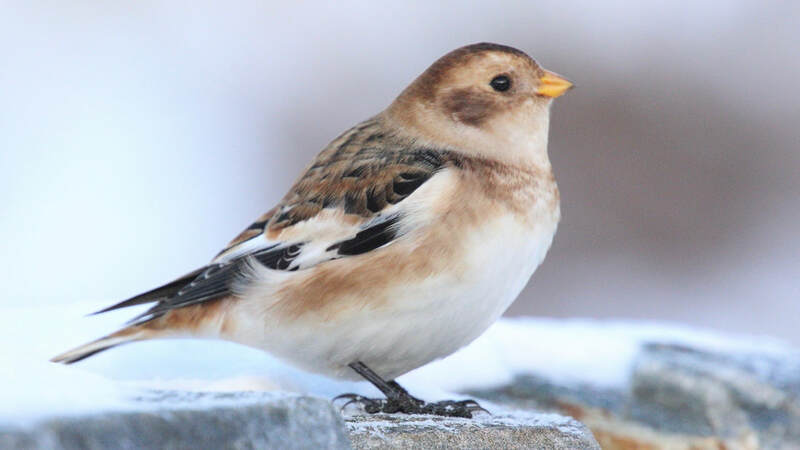 Badenoch and Strathspey: Snow Bunting at Cromdale in the sheep/neap field northeast of the Church (Mark Warren). 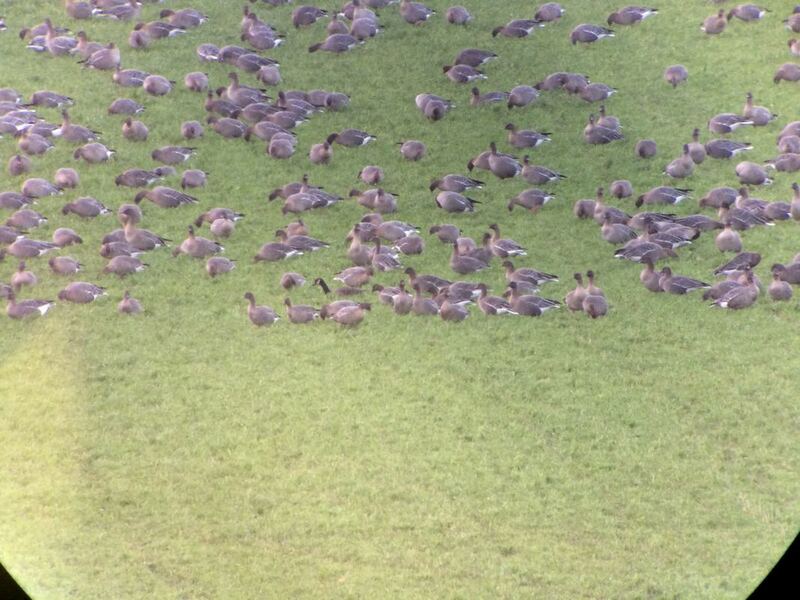 Easter Ross: 100 Barnacle Geese at Clay of Allan, Nigg Station today (Dave Tanner). Skye and Lochalsh: 30 Barnacle Geese on Isay, Loch of Dunvegan, Skye (R Arnold). 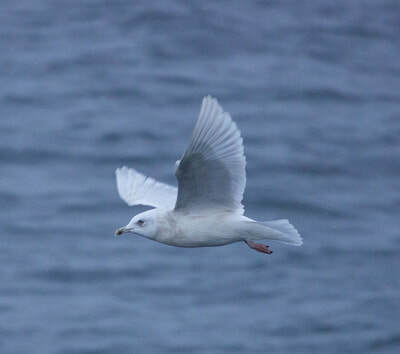 Iceland Gull in Ullapool (Andy Williams). Iceland Gull at Ullapool (Andy Williams)..
Viking Gull at Ullapool (Andy Williams). 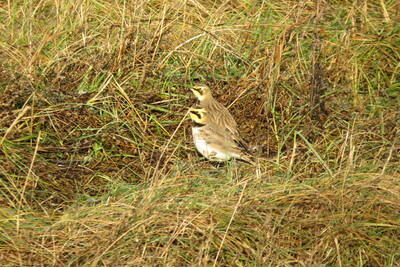 Lochaber: 2 Waxwing at Torlundy, Fort William (D Sargent). 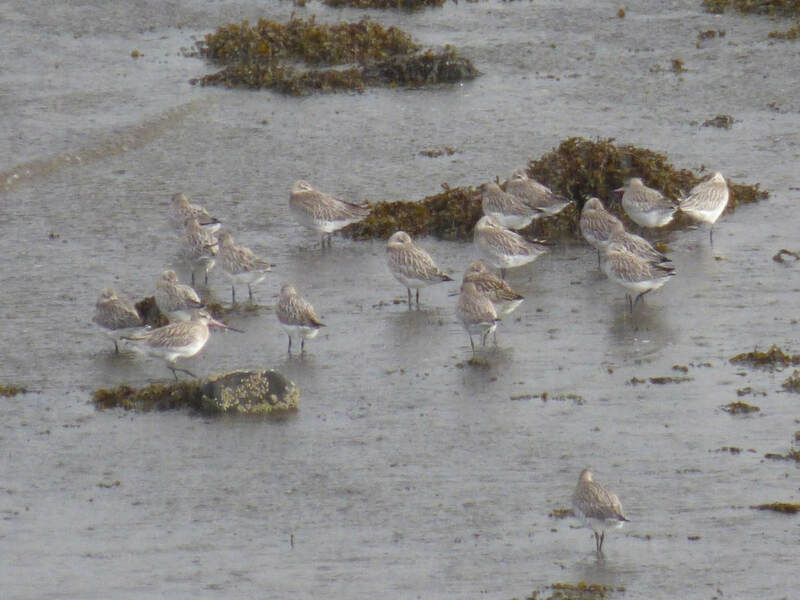 Bar-tailed Godwits in Loch Portree (Neil Bennett). Inverness-shire: Adult winter Mediterranean Gull at Allanfearn WWTW today (James Gordon). Siskin at Broadford (Neil Bennett). Stonechat at Broadford (Neil Bennett). 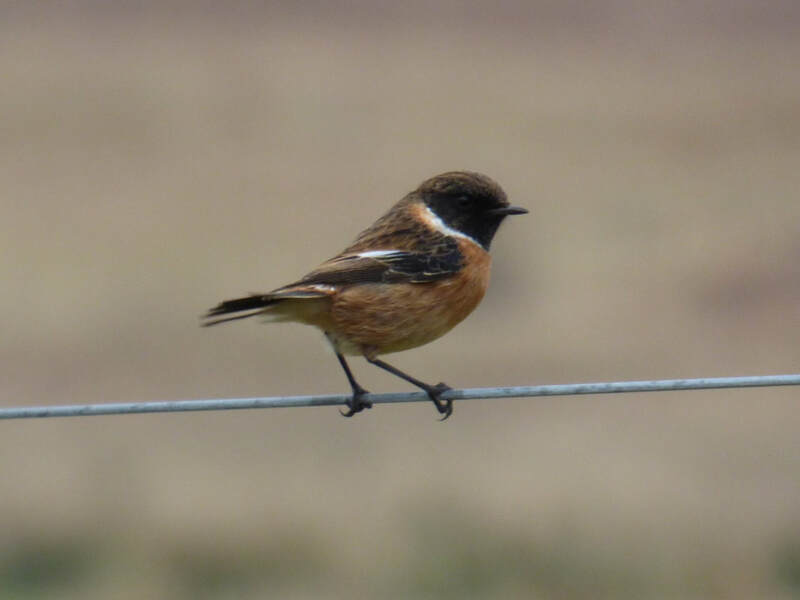 Stonechat at Broadford (Neil Bennett)..
Skye and Lochalsh: Red Kite at Earlish, Uig today, also several Barn Owls reported in last few days may be a cold weather movement (Bob McMillan). 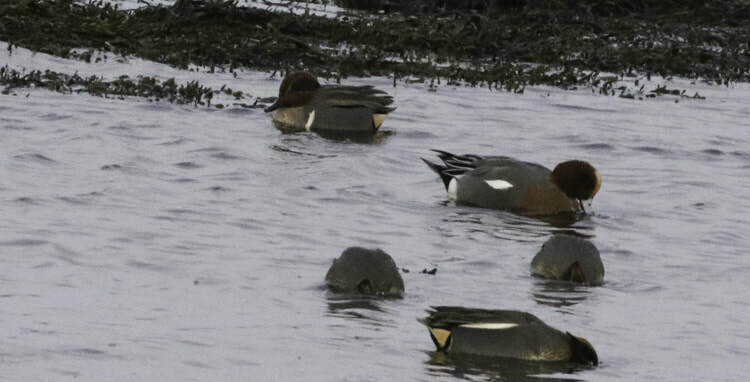 Easter Ross: Drake American Wigeons at Tain and Portmahomack. Tain bird was on the river at High Tide late morning, with a Little Egret (Neil Robertson/David McAllister). The American Wigeon at Poprtmahomack was at high tide at NH897833 (Dave Tanner). Pale-bellied Brent Geese at Nigg Bay (Bob Swann). 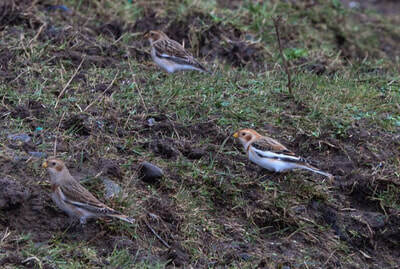 Hawfinch flew over a garden at Kildary today (Nigel Richards). 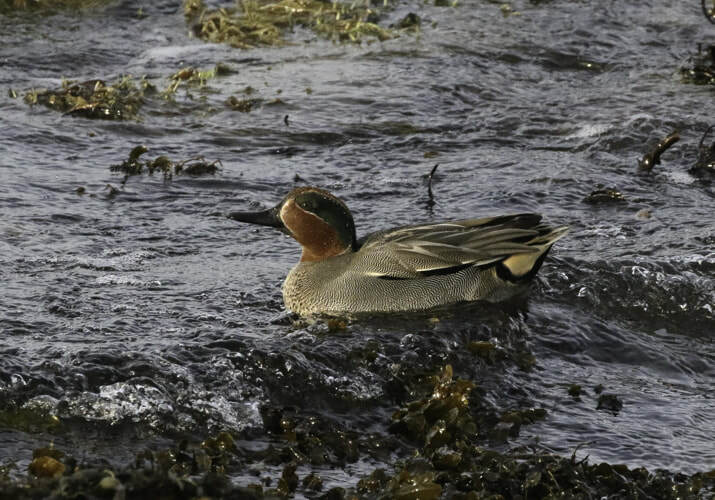 Inverness-shire: Green-winged Teal on Loch Flemington, mid-way along the south side at 1118am (Colin Leslie). 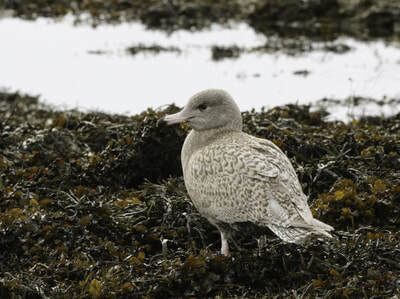 Sutherland: Glaucous Gull on Balnakeil beach (Michael Fitch). 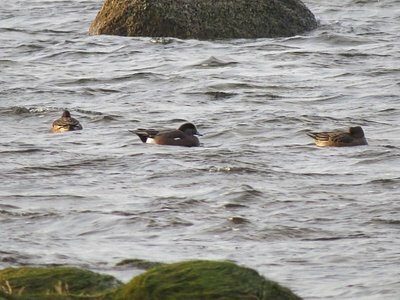 American Wigeon at Portmahomack (Dave Tanner). Badenoch and Strathspey: Eagle Owl found in a field near Aviemore today, has been taken by SSPCA. 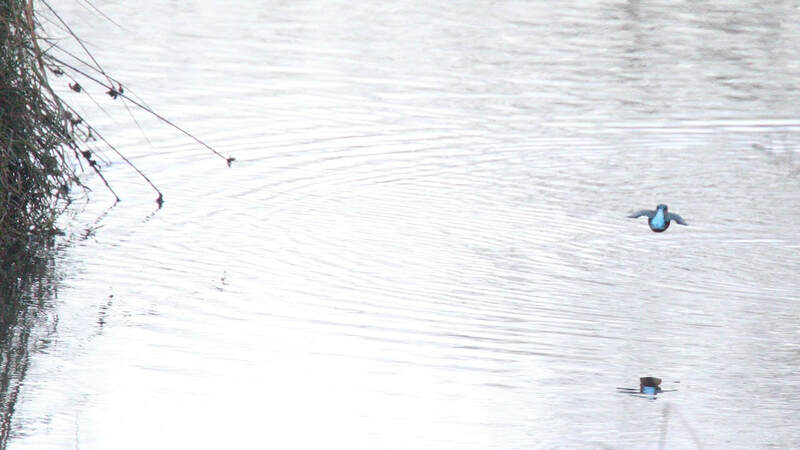 Inverness-shire: Spotted Redshank on the pools behind the Norbord factory at NH756504. 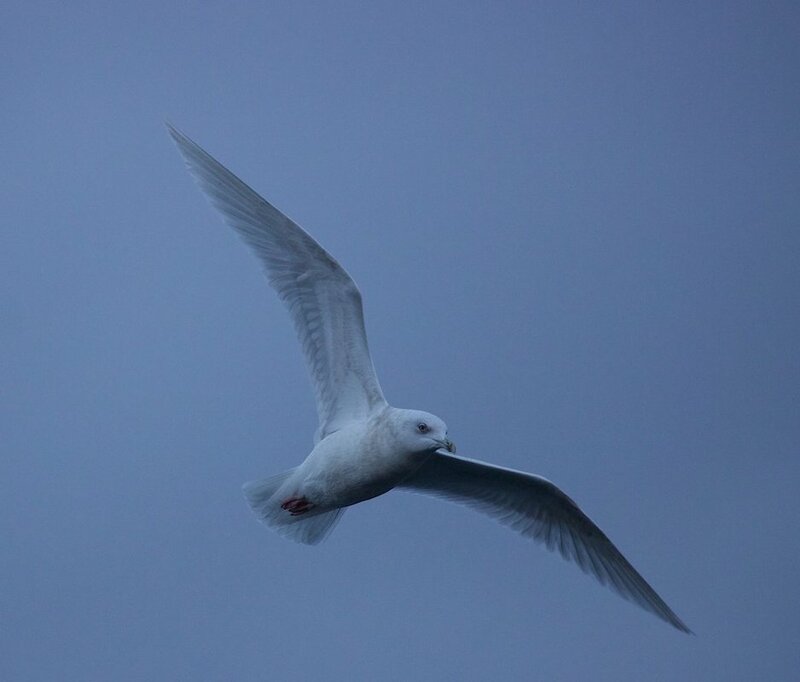 Adult winter Mediterranean Gull at Alturlie bay at 1330pm. Drake King Eider again at Whiteness Head, also 20 Snow Buntings (All Jon Clarke et al). 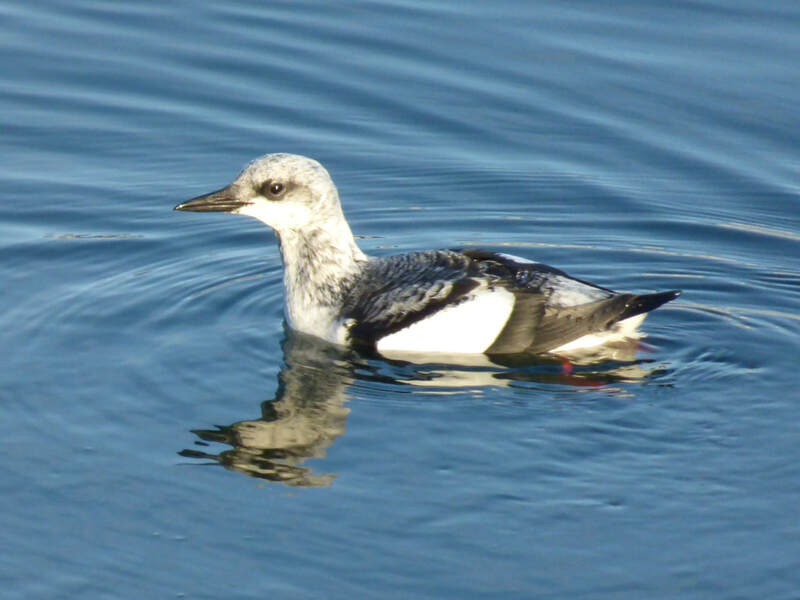 Easter Ross: 2 Black-throated Diver past Tarbat Ness into Dornoch Firth (RBA). 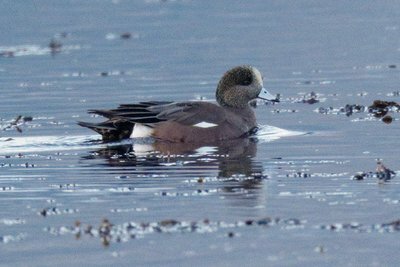 American Wigeon at Clachnaharry (Bob McMillan).